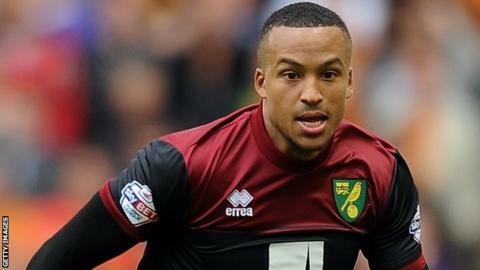 Swansea City have not met Norwich City's valuation for left-back Martin Olsson, says Canaries boss Alex Neil. The Swans have enquired about the availability of Olsson, who joined Norwich from Blackburn in 2013. But Neil says Swansea must increase their bid if they are to sign the 26-year-old Swedish international. "We are not looking to lose Martin but everybody's got their price and they did not meet the valuation we have for Martin at the moment," said Neil. "There was a bid last week and, since then, there's not really been any contact. "Everybody's got their price. I don't want to lose Martin. He's been good for us this season." Olsson has made 23 appearances for Norwich this season and has started three of Sweden's Euro 2016 qualifiers. Swansea's current left-back Neil Taylor, the subject of bids from Crystal Palace, is also understood to be of interest to West Bromwich Albion.